WASHINGTON, DC, October 2, 2012 (ENS) – Likely voters in the 2012 elections support solar energy and want to see the U.S. government to do more to encourage the solar industry, finds a national poll released today. Commissioned by the Solar Energy Industries Association, the survey showed for the fifth consecutive year that Americans have a favorable view of solar energy and government efforts to support the industry’s growth. Conducted by independent polling firm Hart Research Associates, the survey found that more than nine out of 10 (92 percent) of likely voters believe that the U.S. should develop and use more solar energy. This support was strong across the political spectrum with 84 percent of Republicans, 95 percent of independents, and 98 percent of Democrats agreeing. “American voters have spoken loud and clear – they love solar and they want more of it. Republicans, independents, and Democrats are unified in calling on Congress to increase our use of solar energy in America,” said Rhone Resch, president and CEO of the Solar Energy Industries Association. Conducted online September 4 to 9, the Hart Research poll surveyed the views of 1,206 U.S. voters, including an oversample of swing voters, resulting in 762 swing voter interviews. For this poll, swing voters were defined as ticket splitters and those who vote frequently for candidates of both political parties. The poll has a margin of error of ± 2.8 percent. Nearly four out of five (78 percent) of voters say the government should provide tax credits and financial incentives to encourage the development and use of solar energy. Two-thirds of swing voters (67 percent) chose solar above any other energy source to receive tax and financial incentives. While voters were unsure about the affordability of solar, Resch says the industry has a good story to tell as costs continue to fall, making solar an affordable option for millions of families and businesses. The survey found that 97 percent of respondents believe solar is good for the environment; 88 percent say can help reduce dependence on foreign oil; 87 percent say solar can help reduce the cost of electricity; 86 percent say solar is good for American economy and jobs and 56 percent say solar is affordable for customers. There were negative views, too. Hart Research interviewers found that 66 percent believe solar is too expensive for most consumers; 54 percent say solar is not practical in many parts of the country; 42 percent say promotion of solar has resulted in wasteful government spending; 29 percent say solar is inefficient and 27 percent believe solar is not a reliable source of energy. The top 10 states for total solar electric capacity are, in descending order: California, New Jersey, Arizona, Nevada, Colorado, New Mexico, Florida, Pennsylvania, New York and North Carolina. Today more than 100,000 Americans work at 5,600 solar energy companies across the nation in all 50 states. The industry more than doubled the amount of solar installed in the United States in the second quarter of this year compared to 2011, and growth is expected to continue in the second half of 2012. 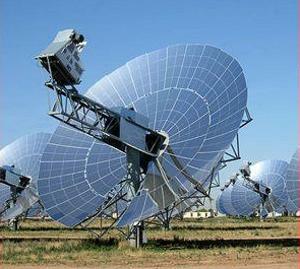 Over the past five years, innovations in system financing have made solar more affordable. 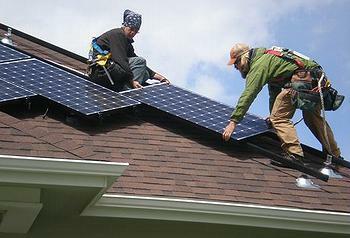 According to SEIA data, the average system price of solar has dropped 50 percent since 2007.